What do you like to use the most between shower gels and solid soaps ? On my side, after several years of addiction to liquid soaps, I radical changed my mind after discovering cold saponification last year (yes I know I’m just a few thousand years late ^^). 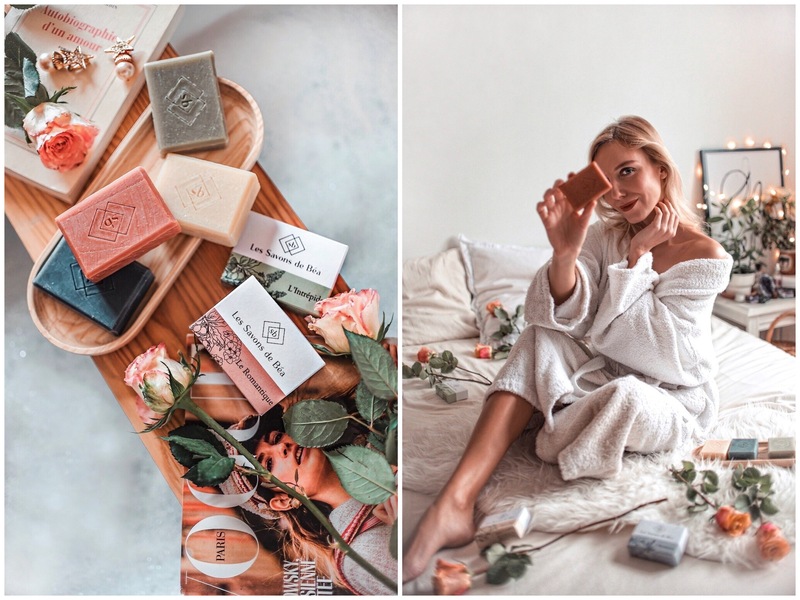 I have already told you about my love for solid soap a few months ago, and today I present you one of my last favorite brands in this matter : les Savons de Béa. It’s Béatrice Lecerf, mother of four and agricultural engineer, who decided to create this beautiful brand in 2017 to help us take care of ourselves naturally ; organic lifestyle supporter for years, she was convinced that it was possible to pamper her skin in a healthy way and with respect for nature. This is how Beatrice began to create her own 100% natural solid soaps, in order to bring us softness and well-being on a daily basis. For those who do not know that process, it is in fact to mix vegetable oils and butters with an alkaline base (most often soda), in order to obtain a so-called saponification reaction which will therefore create soap and vegetable glycerine. This process is usually hot, but to preserve the heat-sensitive vegetable oils soap can also be created through a cold saponification ! In order to bring as many properties as possible to her soaps, Béatrice uses this cold saponification with a mix of olive and coconut oils and organic shea butter (read more about the provenance of the latter here). Shea butter is indeed a natural material that brings a lot of softness and smoothness to the soap, and thanks to its richness in vitamins A, K, E it also protects, soothes and deeply regenerates the skin ! 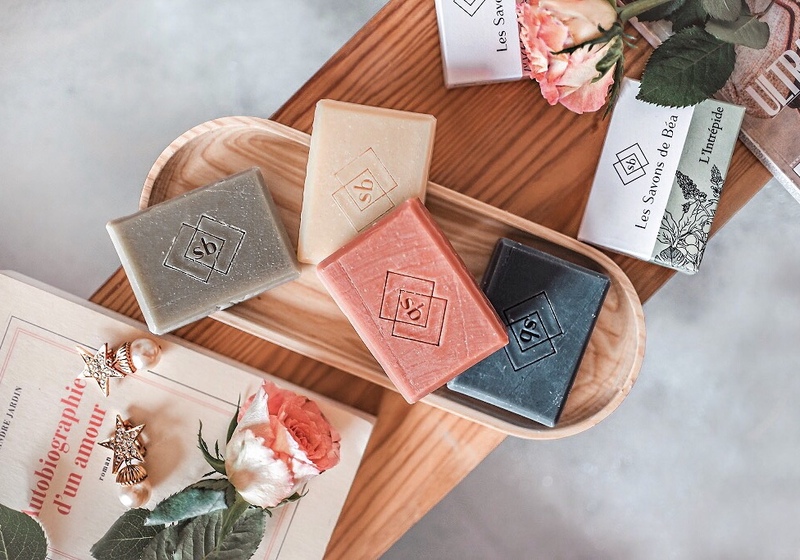 When they are made, the soaps les Savons de Béa are naturally tinted with clays or vegetable charcoal, and each type of soap has in its composition a vegetable oil and a mixture of different essential oils. Once the soaps are made, they are dried for one month to obtain a hard and solid over time soap. 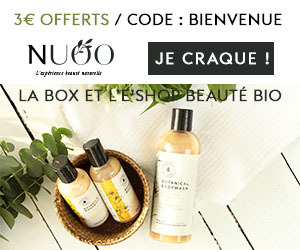 For my part I was really eager to discover the soaps Les Savons de Béa, because just by reading the description of the different products on the online store I could almost feel the smell of essential oils floating around me. Being as I told you a big fan of solid soaps I knew that I would love these, but I was far from imagining how much ! – Le Bienveillant with sweet almond oil : without perfume, it softens, hydrates and strengthens fragile skin, very dry and eczematous. – l’Intrepide with avocado oil : its minty scent (with essential oils of sweet mint, fine lavender and organic patchouli) is perfect to refresh the senses and boost us when waking up. Shea butter and avocado oil nourish, soften and protect dry, delicate and devitalized skin. – l’Aventurier with sesame oil : also composed of vegetable charcoal and patchouli essential oil with purifying and sanitizing properties, this woody soap is perfect for oily and sensitive skin. 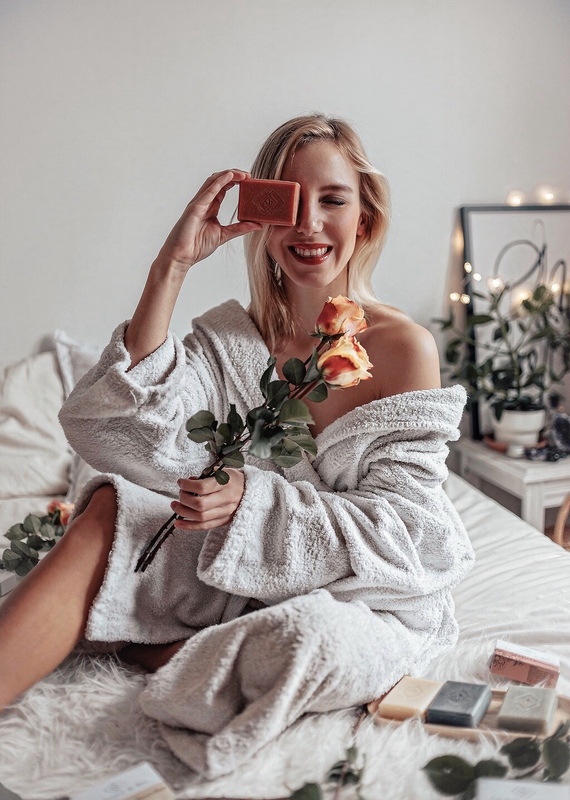 – le Romantique with argan oil : with its essential oils of Geranium Rosat, Lavandin and Ylang-Ylang bio, this soap with wonderful fragrance helps to revitalize, regenerate and tone dry, dehydrated and mature skin. If I loved the four soaps (Charles constantly uses l’Aventurier ! ), my favorite is unquestionably the Romantique. Its fragrance is both subtle and powerful, and it leaves on the skin a delicious floral and very sensual smell (thanks to the Ylang and Geranium essential oils !). In addition, I find these soaps very moisturizing indeed, and I who have really dry skin there were even moments when I completely forgot to apply cream on the body, as my skin was already nourished and comfortable ! – Healthier composition : just by taking a look at the extended ingredient labels of most shower gels, you can realize that their composition can sometimes be a little questionable. 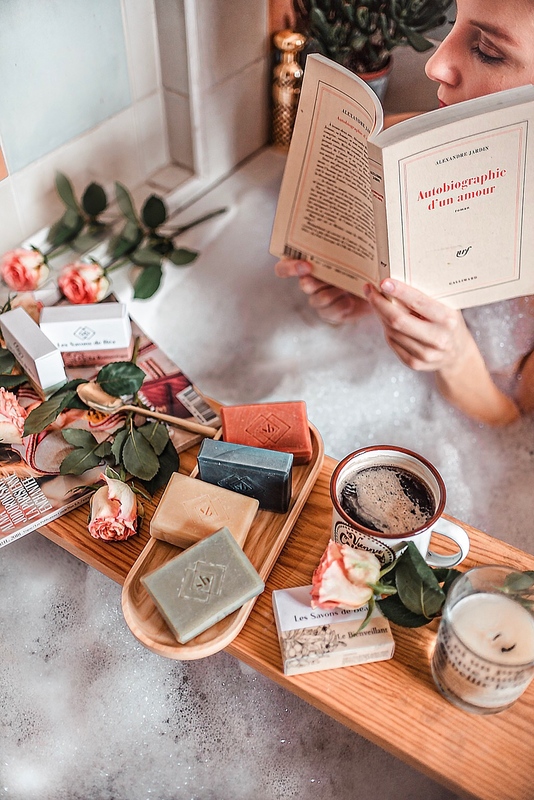 By choosing a solid soap (especially from a cold saponification), we can already be more assured of the quality and nature of the products used ! – Better conservation : it’s stupid, but the fact that the solid soap is indeed solid (so without water) gives it a much longer shelf life. Liquid soaps also very often contain preservatives (such as parabens) that can be toxic to our health and the environment ! – Lasts longer : while a bottle of shower gel lasts only a few weeks, you can easily make several months with the same solid soap. And that’s good for the planet as well as for our wallet ! – Virtually zero waste : apart from possible packaging (most often cardboard so easily recyclable or biodegradable), solid soaps do not need containers. 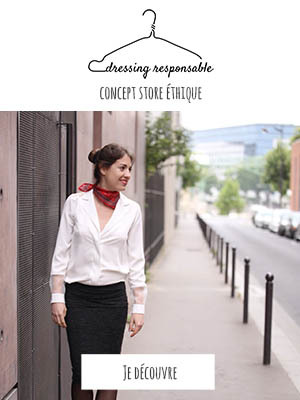 This makes them perfect allies for all those who want to reduce their waste and thus their ecological impact ! – Better for the skin : as stated earlier in the article, solid soaps (especially those derived from cold saponification) are often rich in butters and vegetable oils. Thus they make it possible to wash the skin without attacking it, and according to their formulation they can even moisturize, soothe and regenerate the skin (as is the case with les Savons of Béa soaps) ! What about you ? Have you ever tried solid soaps ?